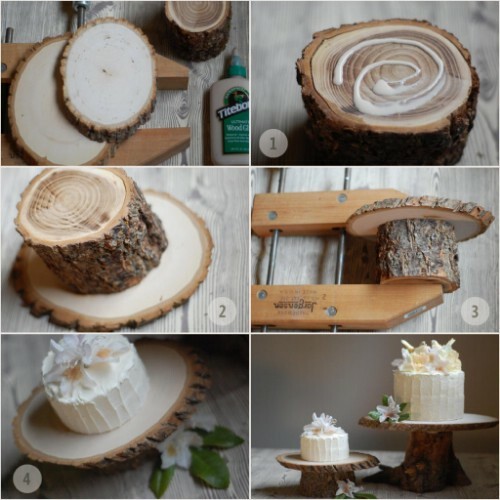 We absolutely love the idea of bringing the outdoors into your home with these incredible DIY log décor tutorials. Every tree and branch out in nature is unique, so using these elements in your home is sure to bring that natural beauty and character that you can’t always find with premade items. Every scratch or imperfection to the wood simply adds to its special one-of-a-kind quality. Enjoy the relaxing coziness that comes with homemade log furniture and décor! This rustic cake stand would look great at a wedding, but you can use it for any occasion. Since it’s pretty simple and cheap to make you could make quite a few in varying sizes for a truly special event. We just love how you can clearly see the rings in the cross-cut; it really celebrates the natural wonder of this material.